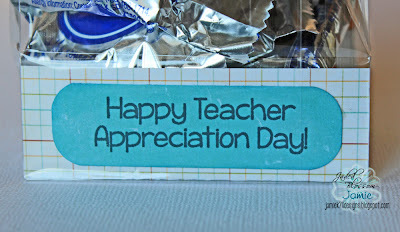 My Son just started preschool so now I get to make some cute Teacher gifts! I used the Fancy Topper Die on the bag. And here's the cute little peppermint patty on an Action Wobble. 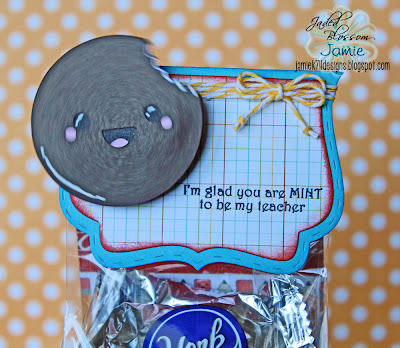 Then I made a little tag and stamped a sentiment from School Rules. Check out my blog for complete details HERE. So cute. 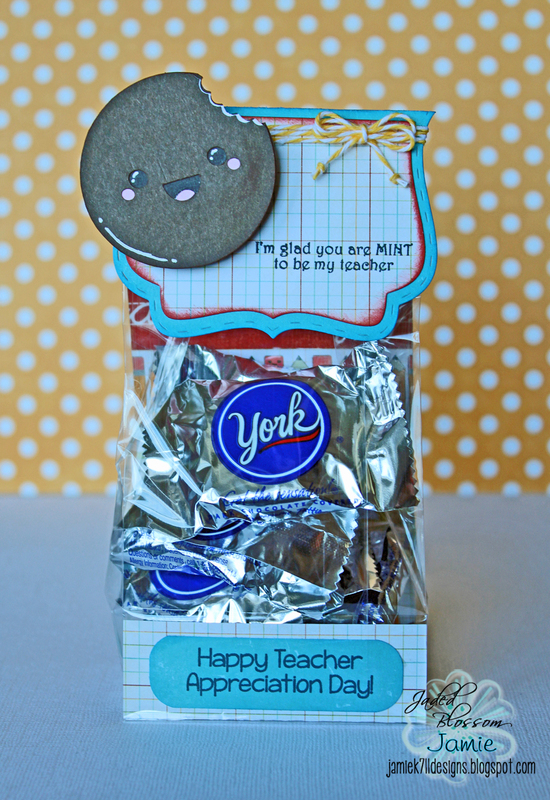 Love the peppermint patty and that its on a wobble. Great project my friend, Love the little mint on wobble. This is so cute!! Thats the only reason I can't wait for my little guy to start school!! Great project! 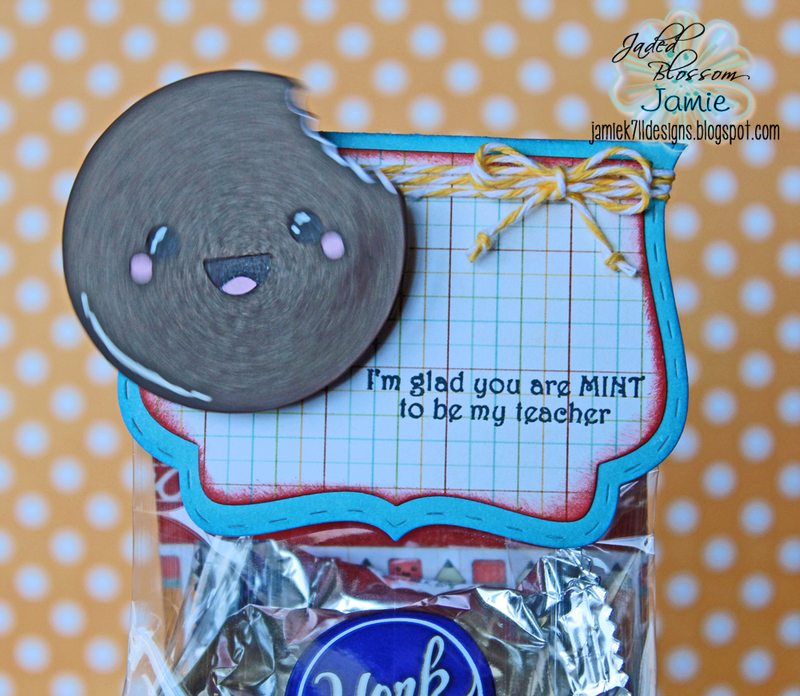 My hubby would love this-he has a weakness when it comes to peppermint patties! Great gift idea! So dang cute Jamie... 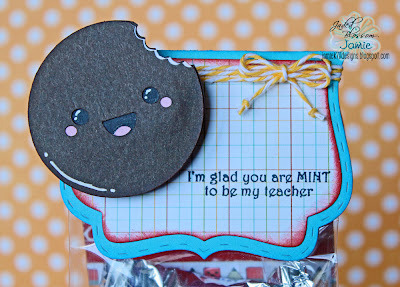 I love the mint!